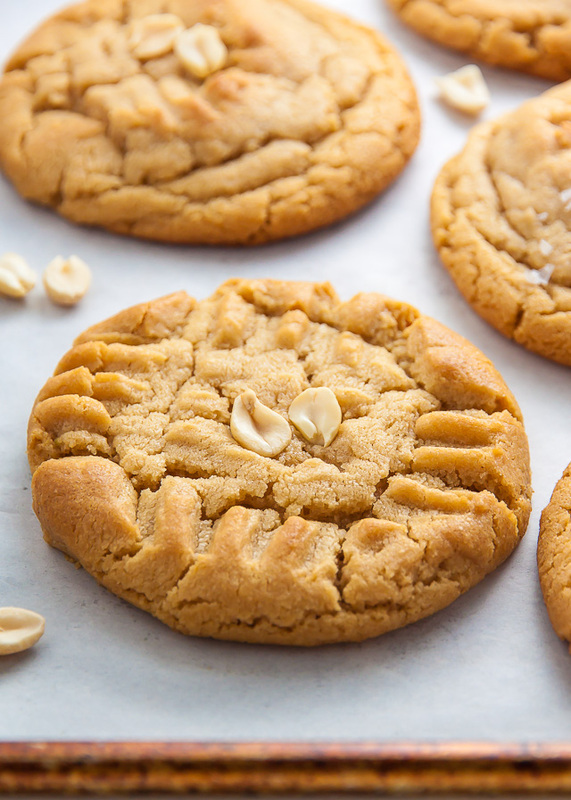 Today I’m sharing with you my recipe for Perfect Peanut Butter Cookies! This one has been a long time coming! After weeks of recipe testing, late night peanut butter runs, and mountains of dirty dishes, I finally did it. I perfected the peanut butter cookie. 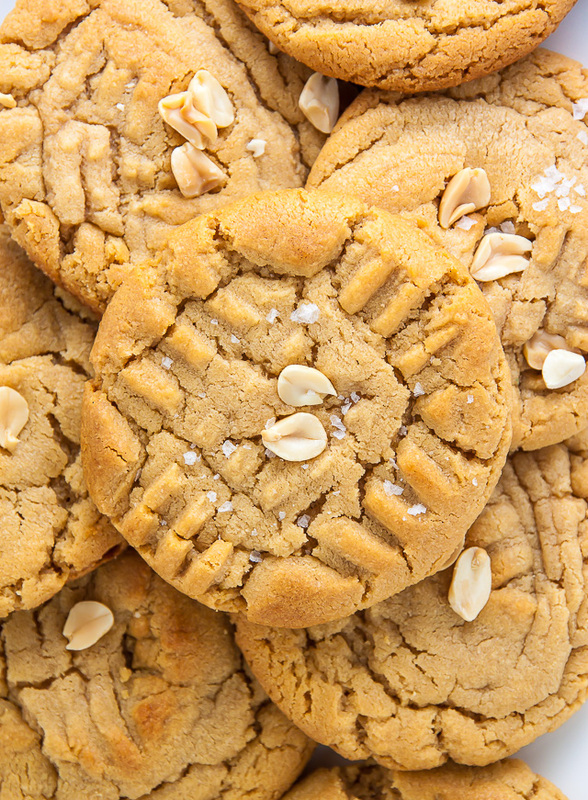 Truth: Growing up, peanut butter cookies were not a household favorite. My mom rarely baked them (she’s team chocolate chip all the way), and on the rare occasion when we would buy a package from the market, they were always just… meh. 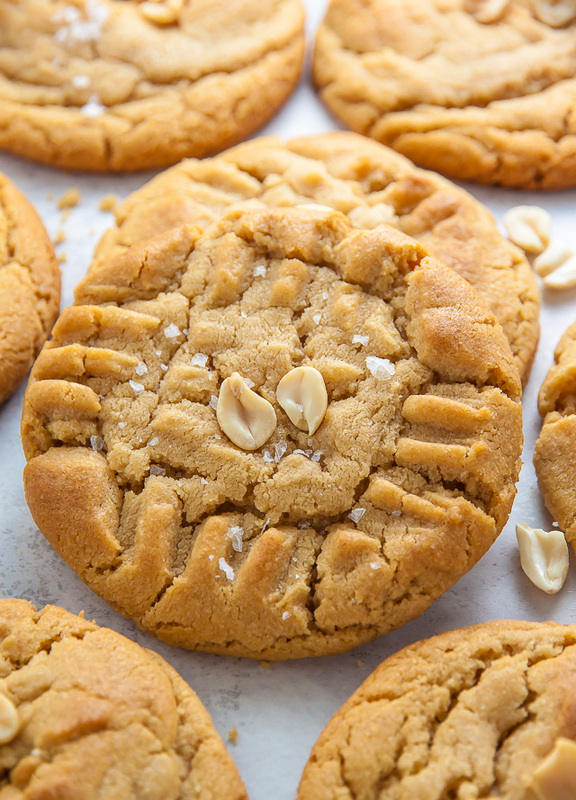 ← No wonder it took me almost 6 years to get a perfect peanut butter cookie recipe up on my website! We need to start making up for lost time NOW. To make these cookies you’re going to need butter, creamy peanut butter, vanilla extract, light brown sugar, granulated sugar, eggs, all-purpose flour, baking soda, baking powder, and salt. Nothing fancy or hard to find for this one! As always, I suggest following this recipe exactly as written for best results. This recipe requires brown sugar and granulated sugar. I do not suggest substituting all of one for the other. 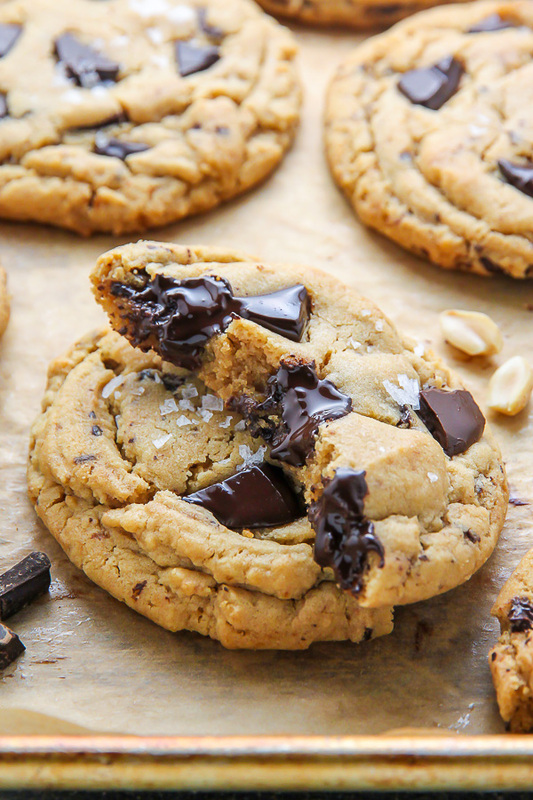 While technically they’re both sugar, they work in different ways, and the combination of the two gives these cookies they’re unique flavor and texture. Your butter and peanut butter must be at room temperature before you begin the creaming process. You’ll know your butter is ready when you lightly press down on the stick and your finger leaves an indentation. Your eggs should also be at room temperature, as cold ingredients do not evenly bond together. Here’s a quick trick for the eggs: place them in a bowl of warm water and let them sit for 15 minutes. After that, they’ll be at room temperature and ready to go! Just be sure you don’t use HOT water. The cookie dough must chill for at least one hour. The silver lining? It can also be chilled up to 2 days! 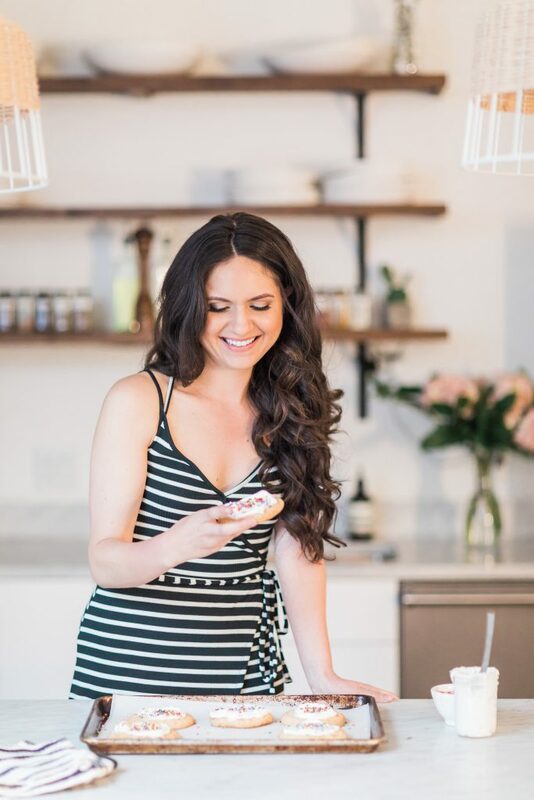 Making this recipe very make ahead friendly. My recipe for thick and chewy Peanut Butter Cookies. Perfect with a cup of coffee or a cold glass of milk. In the bowl of a stand mixer fitted with the paddle attachment or in a large bowl using a handheld electric mixer, beat the butter until smooth and creamy. Add in the peanut butter and vanilla and beat until smooth; about 2 minutes. Add in both sugars and beat until light and fluffy, scraping down the sides as needed, about 2 minutes. Add in the eggs, one at a time, beating well after each addition. Turn mixer off. Add in the flour, baking soda, baking powder, and salt. 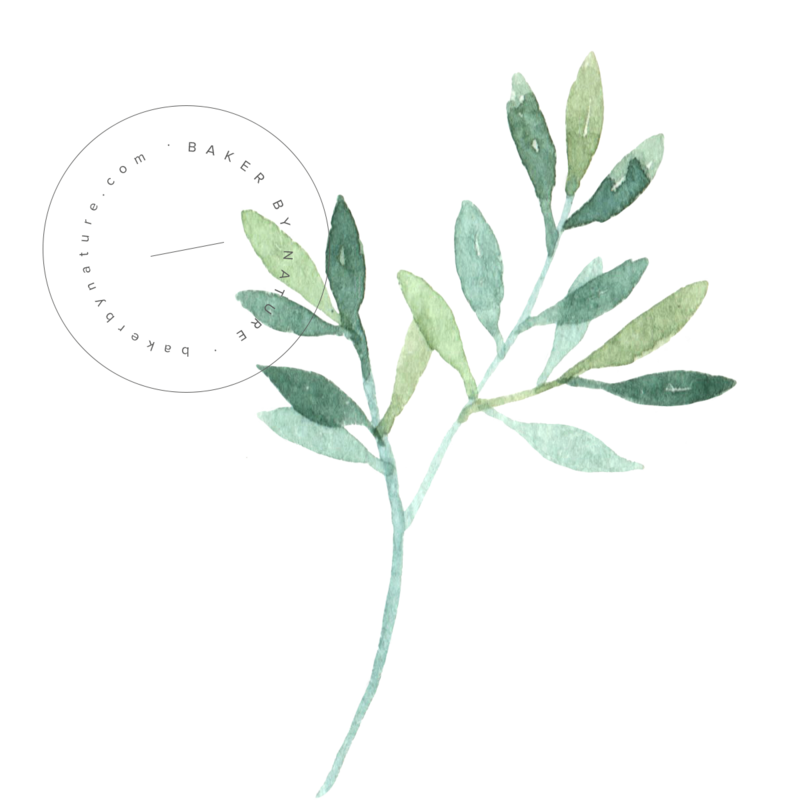 Whisk the ingredients together lightly before turning the mixer back on low and mixing in the dry ingredients until just combined. Be sure not to over mix here. Cover the bowl and place it in the fridge for 1 hour, or up to 2 days. If you refrigerate the cookie dough for more than an hour, you may need to let it thaw a little before scooping. Preheat oven to 350 degrees (F). Line a large baking sheet with parchment paper. Scoop two tablespoon sized mounds of dough onto the prepared cookie sheet, leaving a few inches between each cookies for spreading. Use a fork to make crosshatch marks on the top of each cookie, if desired. Bake for 11-13 minutes, or until the edges are golden and the centers have set. Cool cookies on the baking sheet for 5 minutes before transferring them to a cooling rack. The total time above includes chill time. For best results, follow this recipe exactly as written. To freeze the cookie dough: Prepare the cookie dough as directed above. Shape the cookie dough into balls, then place them on a parchment paper lined baking sheet. Freeze for about an hour, or until solid, then transfer into a freezer safe zip-top bag, squeeze out any excess air, and freeze for up to 3 months. To bake the frozen dough: Place frozen cookie dough balls on a lined baking sheet, leaving a few inches in between for spreading, and bake as directed above, adding a couple of extra minutes to the bake time to make up for their frozen start. The cookies look perfect! Love that they can be made ahead too! I can’t resist a good peanut butter cookie! Love the sprinkling of salt on these! Hi! Do you add the salt and peanuts on top before you bake them? These truly look perfect! Pinning! Yum! These just look divine!! Made these last weekend and not one was left to spare! I’m actually baking another batch now by request of the household!!!!! 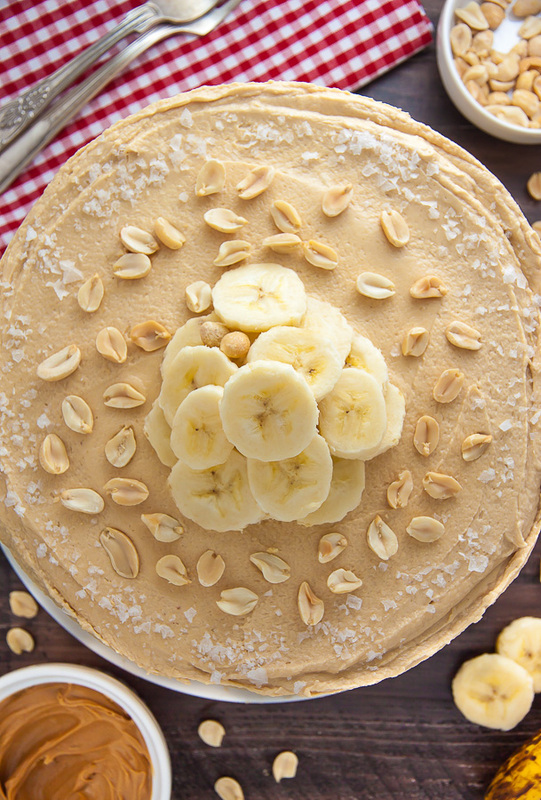 This is a great peanut butter recipe!!!!!! Thank you thank you thank you!!! Can brown sugar be used instead of light brown sugar? 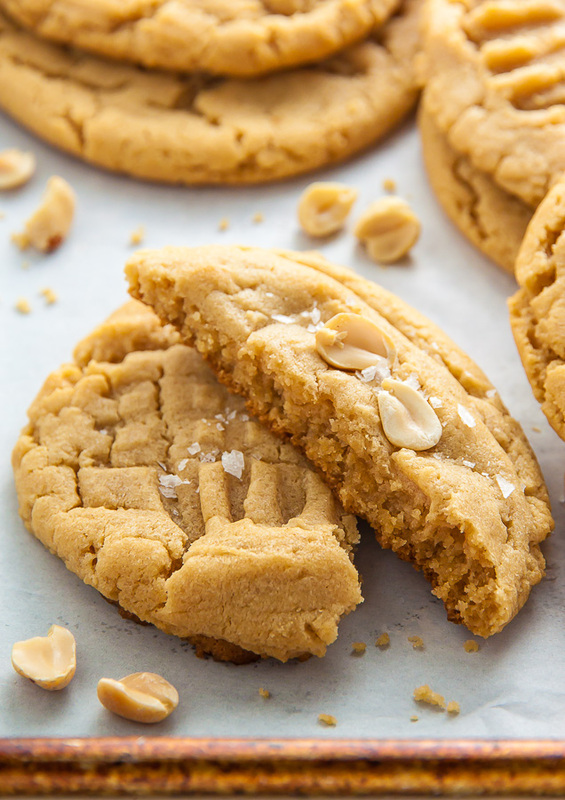 Makes a really good Traditional Peanut Butter cookie for the Peanut Butter Lovers. 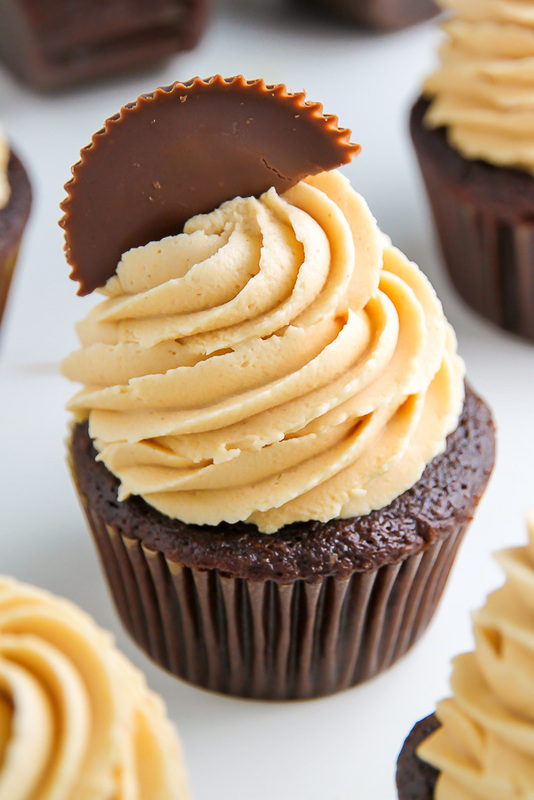 Growing up I used to like my peanut butter cookies with an actual peanut on top..lije you did. Really good Tip ideas & suggestions.